ow-scattering crumbling peat is collected in May – August with the help of special peat collecting machines. Collected peat is stored in piles. Using narrow-railway, the peat from piles is transported to production shop, where it is sieved, sorting out various fractions according to sizes. 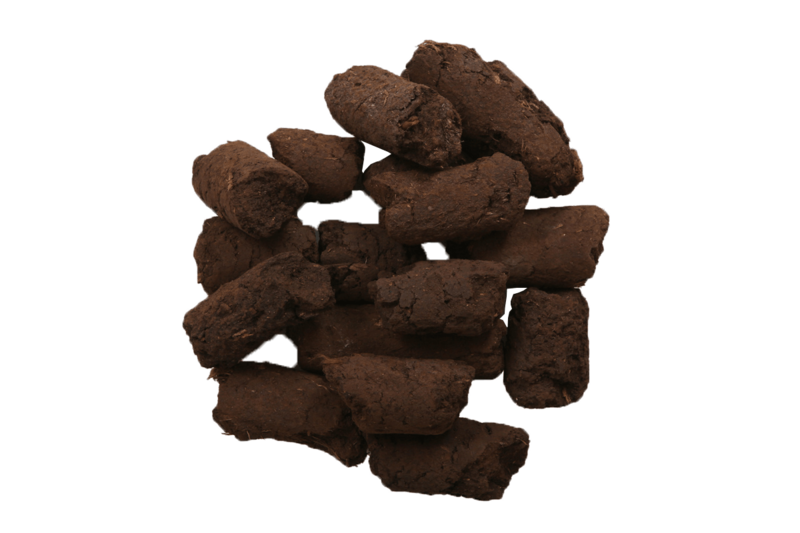 Natural peat 0-10 mm, 0-20 mm 0-30 mm, 10-20 mm, 20-30 mm, 20-40 mm, 30-40 mm. Package volumes are 6000 l , 300 l ,250 l , 150 l , 80 l , 50 l , 20 l , 10 l.
Deacidized peat of various fractions packed in 6000 l , 300 l , 250 l ,150 l ,80 l , 50 l , 20 l , 10 l packages. Blocked peat 0-20 mm, 0-30 mm, 20-40 mm, 30-40 mm, packed in 6000 l , 300 l , 250 l , 150 l , 80 l , 50 l , 20 l , 10 l packages . Package volumes: 6000 l, 300 l ,250 l , 150 l , 80 l , 50 l , 20 l , 10 l.
Utilisation: Especially valuable peat fraction which meets all the requirements of the production of professional quality growing medium. Used both single and mixed with other peat fractions. Utilisation: The main component of growing media for plants growing in containers, pots. Especially suitable for the cultivation of orchids. Utilisation: Exceptionally large fraction used for cultivation of orchids, conifers and other plants requiring very high porosity growing media. Utilisation: Can be mixed with other types of peat for growing media production. Especially suitable for the preparation of peat substrate for growing champignons. Peat blocks are directly dug up from the peat bog, preserving the unique properties of sphagnum and the structure of it. This results in the highest quality raw material, which in its physical properties is ideally suited for growing media requirements. 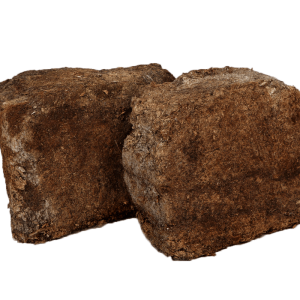 Block peat is characterized by high porosity and the ability to absorb and retain large quantities of water. They are milled and sieved to the required fractions. Utilisation: the main component of biofilter production. Can be used to improve the soil structure. 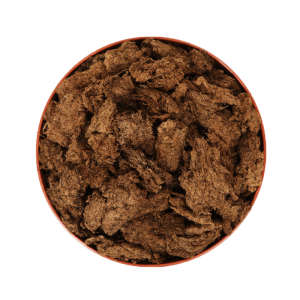 If milled can be mixed with peat or other substances. Used as an oil absorbent. Growing media for plants favouring low pH. In the standart LAV-0S product the average peat fraction of 0-20 mm, pH 3,5-4,5, NPK 14:16:18 1,0 kg/m3 is used. Better water absorption is ensured by the special irrigation fluid FIBA-ZORB. 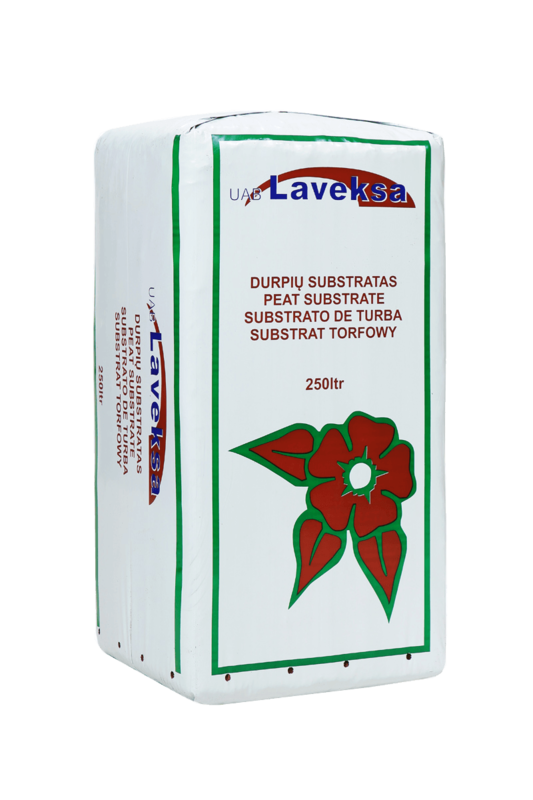 This peat substrate is suitable for acidophilus plants: rhododendrons, azaleas, blueberries, erica and etc. On customer‘s request this product can be made using 10-20 mm, 0-30 mm or 20-30 mm fractions. Growing media for seedlings, plants sensitive to higher fertilizer concentration cultivation, vegetative propagation. 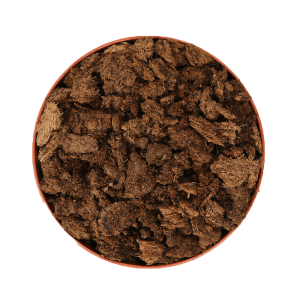 Small peat fraction 0-10 mm is ideal for the formation of the plant roots. This peat substrate is used for seeding seeds by filling small, up to 8 cm in diameter cups or cassettes. Small fraction of the LAV-1S is suitable to use in automated lines. The standard growth medium LAV-1S is 0.5 kg / m3 NPK 14:16:18, pH 5.5-6.5. Better water absorption is ensured by the special irrigation fluid FIBA-ZORB. 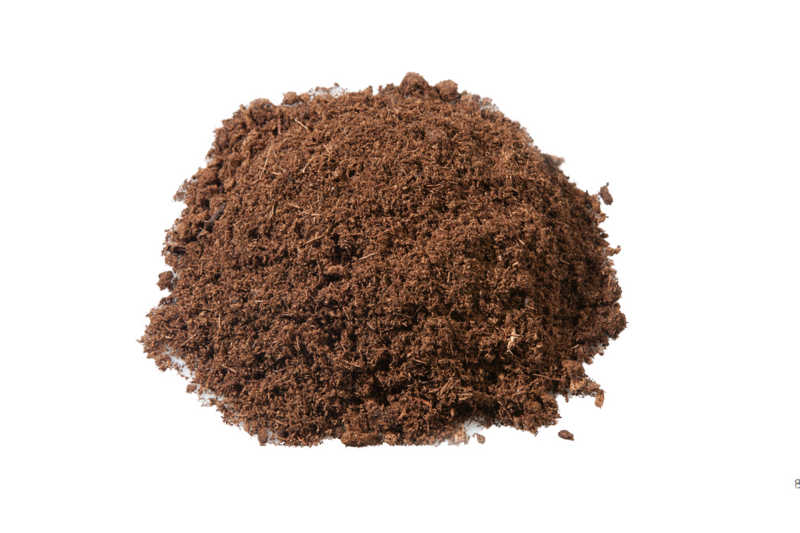 Universal growing medium suitable for many types of plants. In the standard product LAV-2S the average peat fraction is 0-20 mm, pH 5.5 to 5.5, NPK 14:16:18 1.0 kg/m3. Better water absorption is ensured by the special irrigation fluid FIBA-ZORB. On customer‘s request this product can be made from 0-10 mm, 10-20 mm, 0-30 mm and 20-30 mm peat fractions. 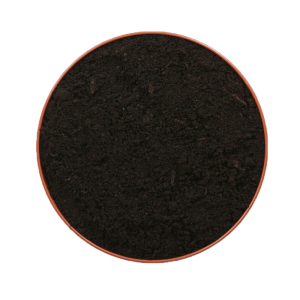 Universal growing medium suitable for many types of plants. 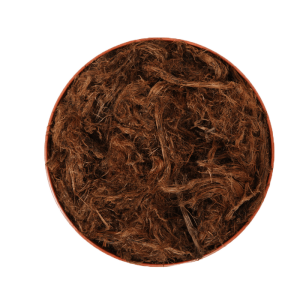 Average peat fraction 0-20 mm ensures good aeration and water absorption. The standard growth medium LAV-3SC is 1.0 kg / m3 NPK 14:16:18, pH 5.5-6.5. 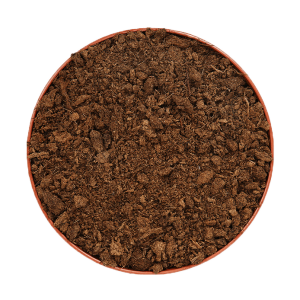 This substrate is mixed with 20.0 kg / m3 of clay, which prevents the rapid leaching of nutrients. Supplemented with liquid or granular water absorption enhancer FIBA-ZORB. 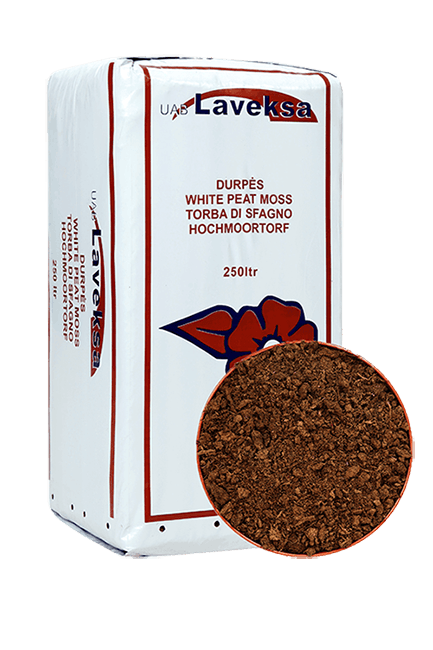 UAB Laveksa can produce a wide range of peat growing mediums. 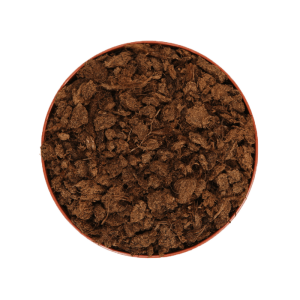 On customer’s request a peat substrate with various additives – Perlite, coconut, zeolites can be made. We can insert long-acting fertilizers and trace elements. LAV-4Sp special substrate can be produced from the milled and block peat. Fractions of 0-10 mm, 0-20 mm, 10-20 mm, 20-30 mm and 30-40 mm. A mixture of different factions is possible. Sod peat is produced out of H5-H7 type of peat. They are extracted from a depth of 40-50 cm. Naturally dried. Size, length of 50-150 mm, Ø 50 mm. Utilisation: As a type of fuel.